My name is Will Johnson. 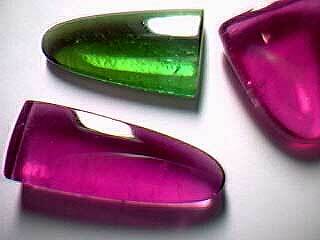 I was a professional lapidary for a number of years and built the gem portion of this website towards the end of that career. I am no longer cutting gems but am leaving the site intact because many folks have found it interesting and informative. I'm now involved full-time with a new business......Glyptic Concepts. Please see link at bottom left of this page. Please remember this caveat when viewing the gem pages. 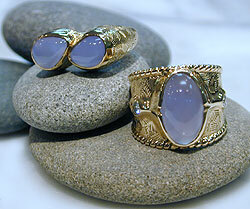 We are Blue Chalcedony Specialists !! 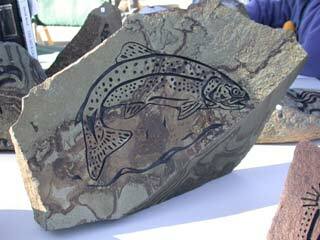 Visit our ETCHED STONE site!! !